Selling boats, yachts, jet ski's and other vessel types on AdamSea is about as easy as it gets. By putting your boats for sale here, you are giving it the best chance to sell to a worldwide market. 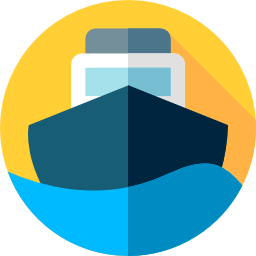 Buyers from Europe, Asia, Australia and South America, just to name a few are searching our website daily for their new vessel. To get started, create your profile and select 'New Build'. Once logged in, click on your name (the first box in the ribbon at the top of the screen) to access your dashboard. The dashboard allows you to manage your account settings, post vessels for sale and track potential sales. Start by clicking on 'Account Settings' and filling in all the required information about your company. Having a complete profile makes the sales process easier. To add yachts, boats or other vessels for sale simply click on 'Manage Boats' and click the blue 'Ads' button, fill in the required information about each vessel for sale. The more detail you provide about your boat, the more attention you will receive from interested potential leads. At the bottom of the page, you will have to upload a photo of the boat. This is a mandatory requirement in order to proceed. You will also be asked to sign a reseller agreement with AdamSea. Once the agreement has been reviewed, approved and processed by AdamSea, you will receive a copy of the agreement and an Agreement ID number. That puts your company in the system as an authorized AdamSea seller, providing assurance to the buyer. Read the Boats Agreement Fee Service and once agreed just hit 'Save'. This adds your listing to your dashboard and makes it visible to possible buyers. Another option in the Dashboard is Boat Show. You build the boat display page and complete all the details about your own boat and show. A Boat Show allows you to advertise a date and time that the vessel will be on display. This is a great place to advertise sales, drum up interest in a new model or move aged inventory. 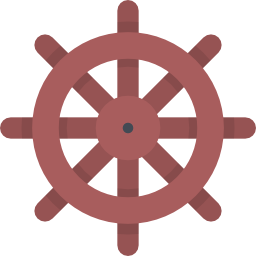 Once a buyer has shown interest in purchasing one of your vessels, the patented AdamSea sales engine kicks in. This simple three step process allows for a seamless transaction and simple processing. The system notifies you of a buyer’s interest via an email notification. You will have to confirm the boat is still available for sale. If an offer is made, you can accept, reject or counter the offer. When an agreement is reached, the buyer will coordinate pickup and delivery. The buyer will depoit the price in an Escrow account and arrange the shipping, paid for by the buyer. The escrow monies will be released to you upon successful delivery of the vessel to its new owner. See more about the Sales Engine and how it works! Sell New Yachts or New Build Boats online globally or alternatively gain access to a local maritime market within the country.